Troy Hickox heads up Galaxy Entertainment Group's expansion, development and evolution in the hospitality business - sourcing/identifying new opportunities; creating or engaging new brands and concepts; providing expertise in branded franchise/operator selection; and negotiating with strategic partners for existing operations, and future projects. His scope extends from hotels to restaurants, and wellness to nightlife, across the group’s portfolio. Galaxy’s flagship operation in Macau is a 4000 room enterprise, an expanding portfolio of self-operated, licensed and third-party managed hospitality assets. Seven hotels and over 90 food and beverage outlets, almost all under one roof, require sophisticated integration with shared infrastructure and support services – to yield greatest operational synergy, quality and commercial efficiency. In 2016, their operations in Macau include three Michelin-starred restaurants and another eight Michelin-recommended outlets. Troy has over 20 years of operations and leadership experience, and a dozen hotel openings ranging from luxury, to lifestyle/ design focused boutiques, and integrated mega-resorts. 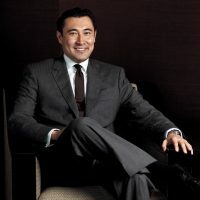 His previous international roles include stints with Peninsula, Fairmont, Four Seasons, Las Vegas Sands, Hilton, IHG and members of Design Hotels. More recently, he was opening General Manager of both the world’s largest Conrad and Holiday Inn hotels, after having played a key role in opening the 3000 room hotel at the world’s largest casino, The Venetian Macao.